As both a musician and dulcimer maker I make dulcimers that meet my own demanding requirements as a player. You can learn more about my dulcimers on my “Dulcimers” page. I have been performing, teaching and making dulcimers since the mid 1970’s. 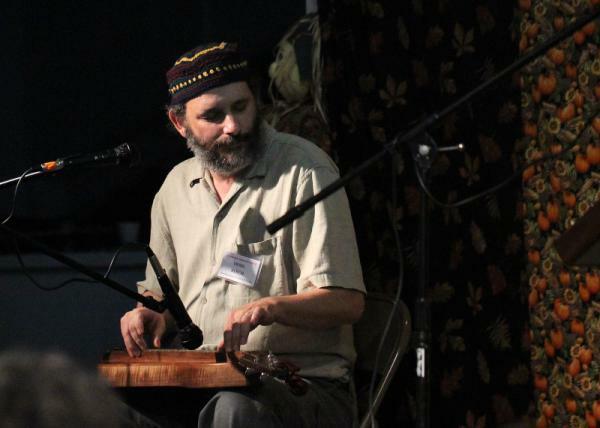 During the 1980’s I toured throughout the United States and performed at many folk festivals, dulcimer festivals and concert venues. I recorded two records (Yes, records, the big round flat black vinyl things) for Kicking Mule Records. In 1983 I took first place in both the National Hammered Dulcimer Championship and the National Mountain Dulcimer Championship in Winfield, Kansas. In the early 1990’s I recorded two cassettes (more antiquated technology, is there a theme here?) with one featuring a tune I composed on hammered dulcimer called “Ocean of Wisdom” that has been performed and recorded by several other hammered dulcimer players. My work appears on dozens of albums and soundtracks as a support musician. I performed, recorded and toured with the Celtic ensemble Colcannon for 10 years. I taught at The Swallow Hill School of Music in Denver, Colorado for 10 years. I took a long break from performing and making instruments full-time. During this time I was pursuing other interests. I also worked at Elderly Instruments in Lansing, Michigan for about 12 years. Musically I am inspired by the traditional music of the world, the rock and roll I grew up with and anything else that comes along.